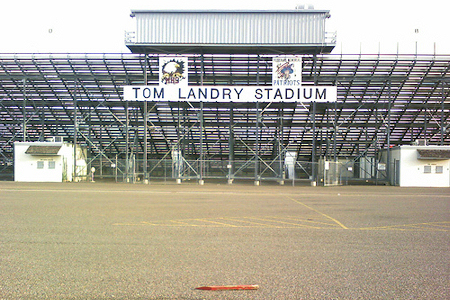 Named after Tom Landry, He was born in Mission, Texas, and played for Mission High School. Beautiful stadium and one of the best places to watch a football game. Last year ranked 7th in state as best stadium. Tom Landry Stadium is now the only high school football field in the country outside of Canton, Ohio (home of the Pro Football Hall of Fame) to have permission to use the official Hall of Fame logo as a part of its playing field.